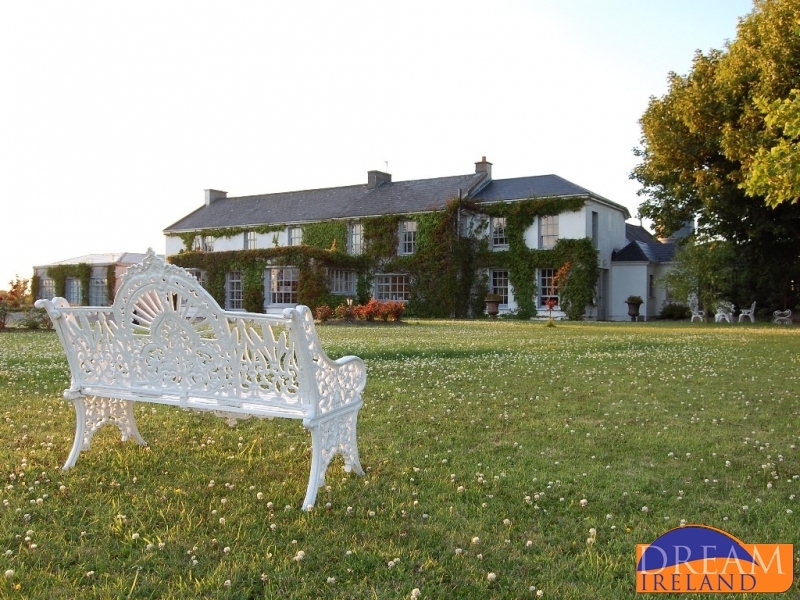 This 250 year old Country House set in the midst of a private estate of 130 acres surrounded by green fields. It is reached by a long private avenue and exudes atmosphere and extraordinary warmth. 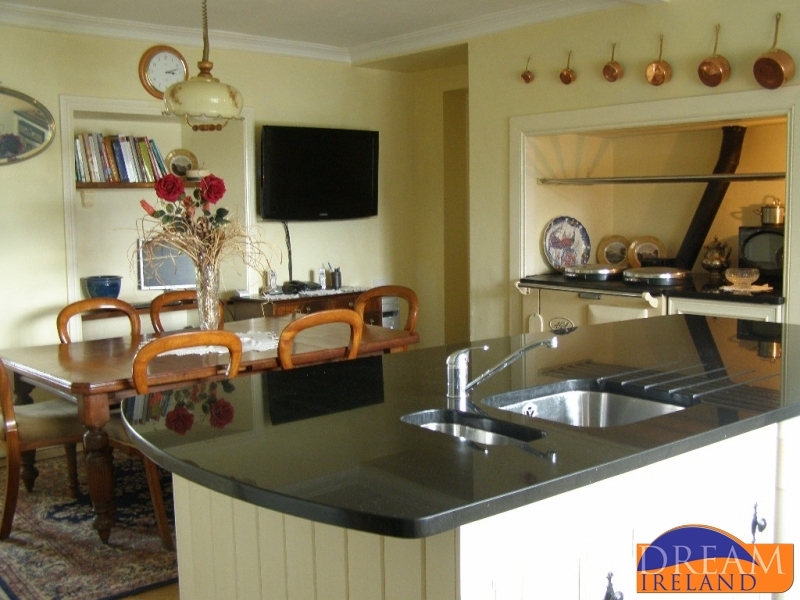 This wonderful house offers the best in country house charm and a glimpse of unspoilt rural Ireland. Flemingstown House invites you to experience sumptuous accommodation, where one can enjoy the privacy and exclusivity of the whole house. This is a luxury self catering vacation rental of exceptional quality, perfect for large families and groups (up to 11 discerning guests). It combines luxury living with space, comfort and tranquillity and offers a getaway that is distinctively different. 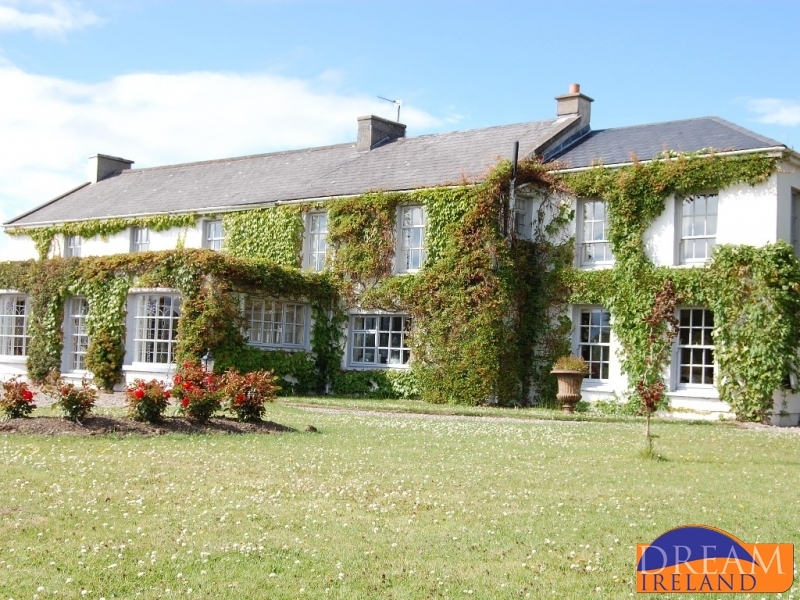 The house is ideally located centrally in Southern Ireland making it the perfect base for taking day trips to many of the magnificent visitor attractions. 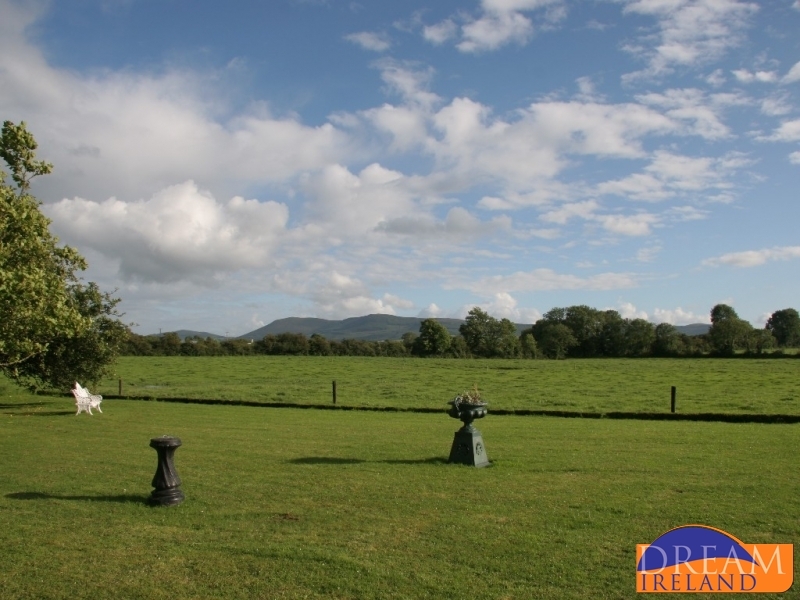 There are several excellent golf courses within easy reach of Flemingstown and it is in the heart of horse country, with riding just a few miles away. 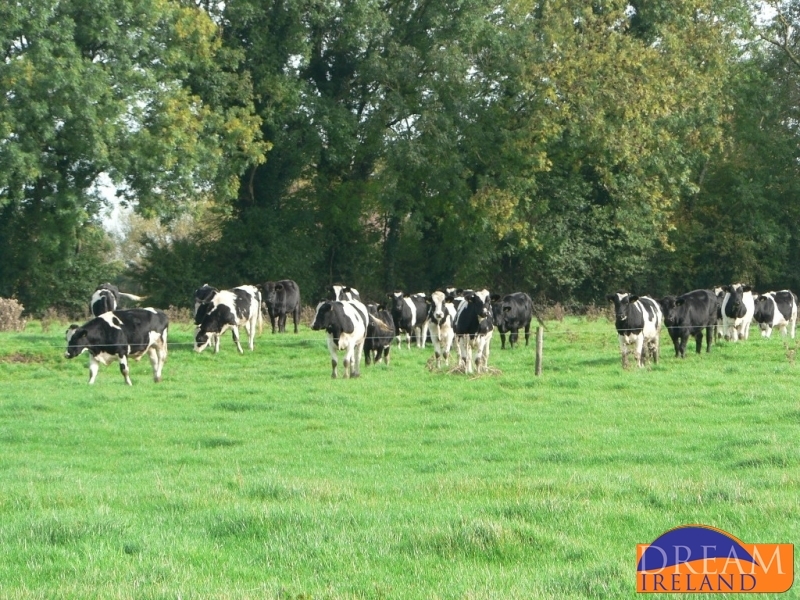 Hunting with the famous Duhallows can be arranged and Cork Racetrack hosts meetings throughout the year. 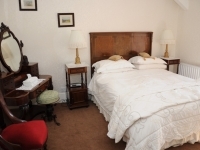 On the ground floor, the spacious accommodation comprises of a large drawing room with woodburning stove and cushioned seats overlooking the garden. 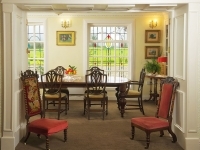 The sense of luxury is complemented by beautiful antique seating and furniture in keeping with a fine country house. 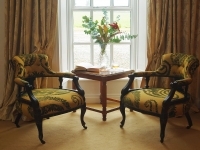 The ideal room to sit, relax and chat in during a well deserved holiday or the perfect retreat should you wish to catch up on your reading. 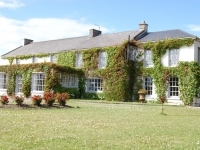 Flemingstown is ideal for a group of friends/family wanting the facilities of a five star hotel with the privacy and relaxed atmosphere of a country house. 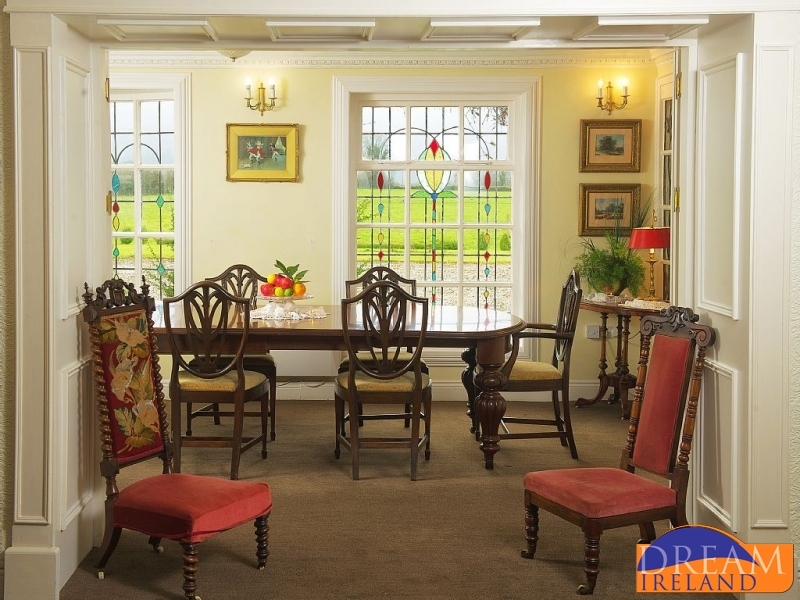 The Dining Room enjoys the warmth of the morning sunshine. Colours dance on the walls with the sun pouring in through the stained glass windows. With a distinct relaxed atmosphere and bright, airy décor, it is the perfect place to enjoy lunch or dinner. 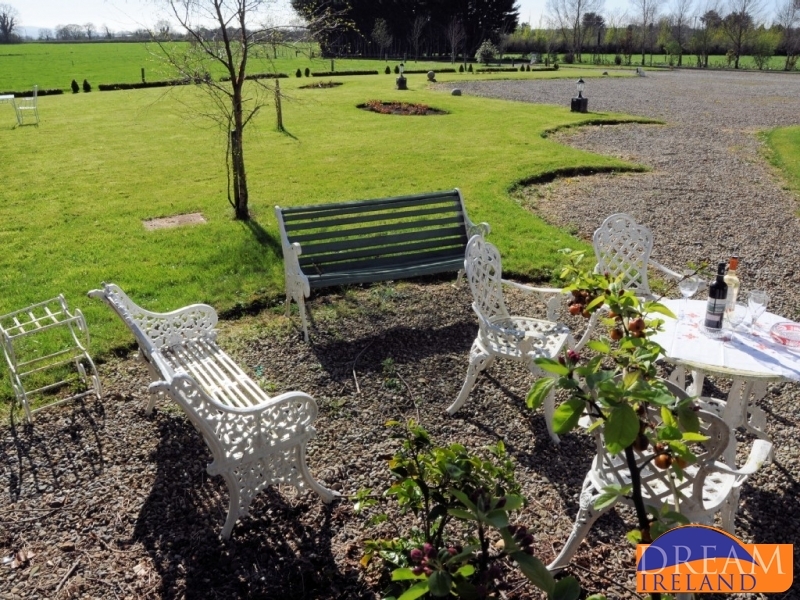 For more casual dining, why not dine alfresco in the serene and peaceful private grounds. Enjoy a barbeque (large gas barbeque grill provided) with the birds chirping and the sun warming your skin. The tranquil informality of the Parlour lends itself to those seeking to escape today’s hectic world and enjoy the company of friends and family. 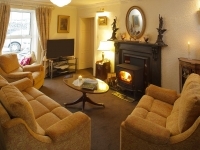 This relaxing room has an extremely comfortable sofa and armchairs set around an antique slate fireplace with a wood-burning stove. This room exudes warmth and charm and interwoven with the serenity and elegance of the room creates an atmosphere that is just wonderful to experience. You can also enjoy the conveniences of modern living with a TV for your use should you wish to stay in touch with the world outside. 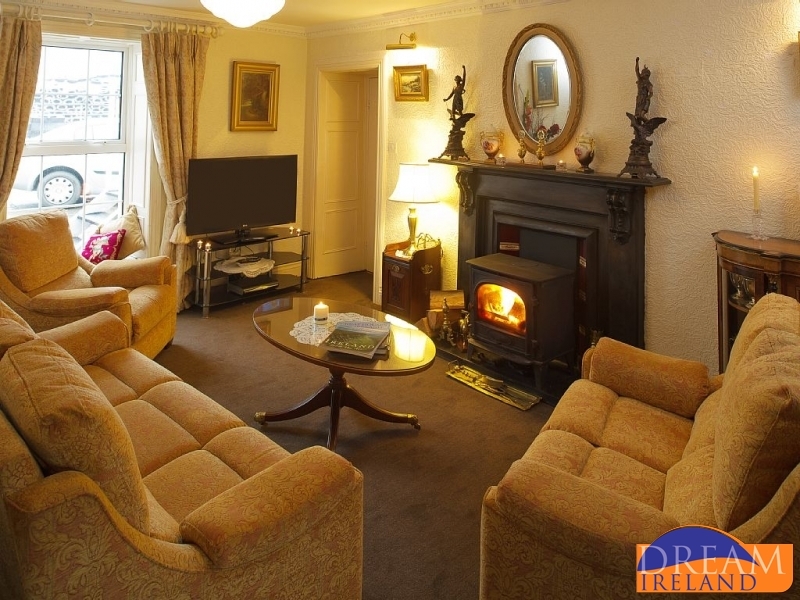 There is also a video/DVD player if you fancy watching a film curled up by the fire. We provide a complimentary library of DVDs to choose from. 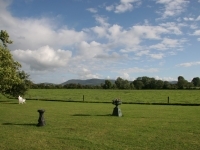 From the Afternoon Room you can walk out to the gardens and enjoy the peace and tranquility of the lush green Irish landscape. 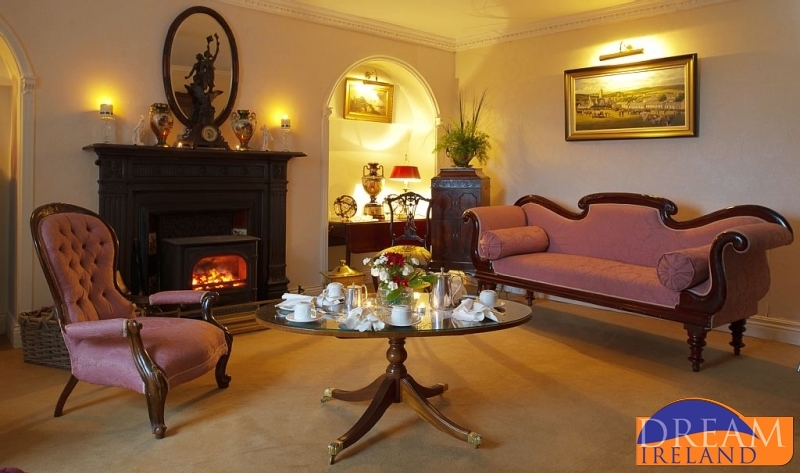 This room exudes a traditional atmosphere, yet at the same time, extraordinary warmth. You can enjoy wonderful views while relaxing or enjoy a glass of wine before dining al fresco. 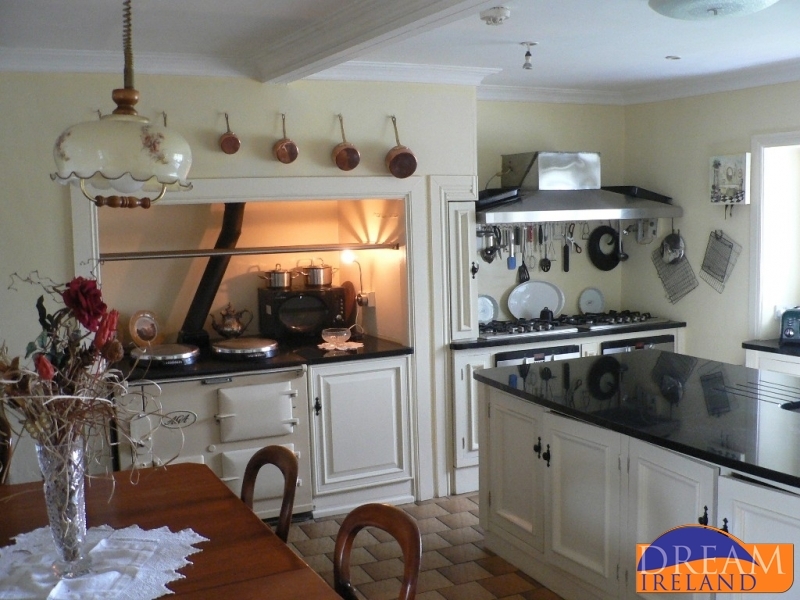 The lovely spacious Irish country kitchen is the heart of this splendid home and oozes warmth and welcome. No one can resist the seventy year old AGA, they’re drawn to its gentle warmth and, as soon as they enter the kitchen, they feel the need to lean on it. 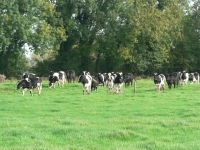 Sometimes they’ll even jostle for the best spot. Beside it they can sit at the large antique table that has been part of the family for the last three generations, maybe four – we’re not sure. The kitchen always ends up being the fullest and noisiest room in the house. 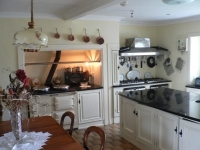 The kitchen is well-equipped with a wide range of high quality equipment available for all your cooking requirements. 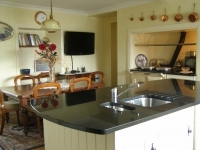 Every cooking amenity and modern convenience is at hand to cater for all occasions. 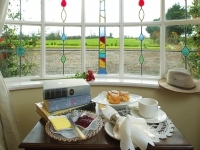 The Orchard Room offers magnificent views of the surrounding countryside. 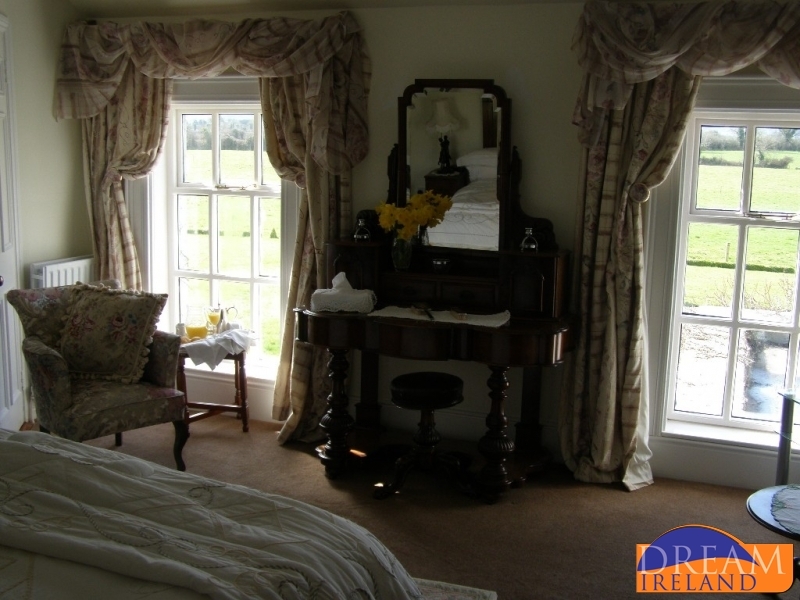 The room is individually decorated with plush fabrics and period furniture where one can experience the elegance and atmosphere of an elegant country house. 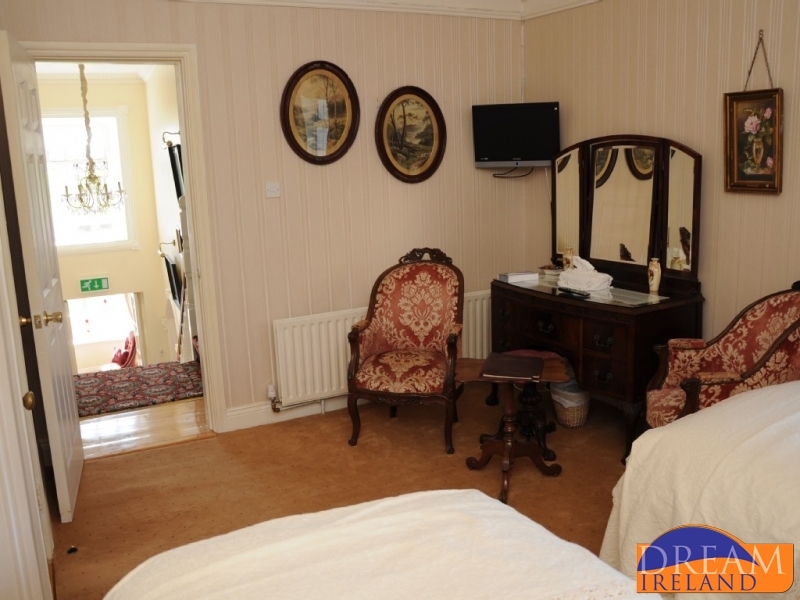 This room is beautifully presented and very generously proportioned. Throughout the morning, midday and evening this room enjoys warm sunshine with wonderful windows which give far reaching views of the gardens/countryside beyond. The Orchard room contains an antique, extremely comfortable king size bed and a single bed. The bed linen is 100% Egyptian Cotton with a high thread count. The duvet is goose down, offering unashamed bedroom luxury and warmth without the weight. For the ultimate relaxation – the large en-suite bathroom is splendidly decorated, with an extra large walk-in power shower, hair dryer, and toiletries from the Gilchrist and Soames Spa Therapy range. All rooms provide beautiful Cotton Robes for each guest. 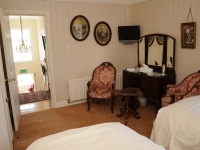 The Ellen Room is beautifully decorated, generously proportioned and extremely comfortable, in fact it is so pleasant, you may never want to leave. 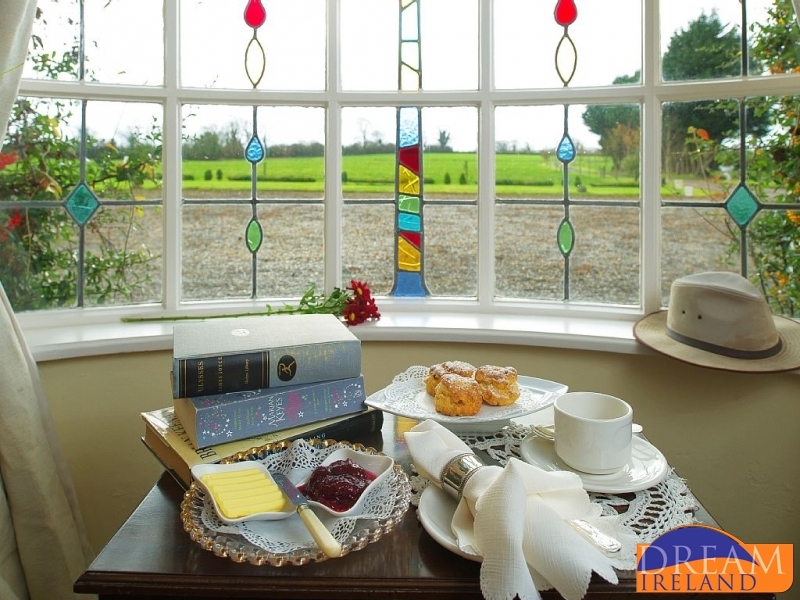 Throughout the day this room is soaked in sunshine, overlooking parkland, with beautiful views of the Ballyhoura Mountains. We have selected a Luxurious orthopaedic king size bed with the most comfortable mattress that will give you a great night’s sleep and allow you to wake up feeling rested and refreshed. The bed linen is 100% Egyptian Cotton with a high thread count. 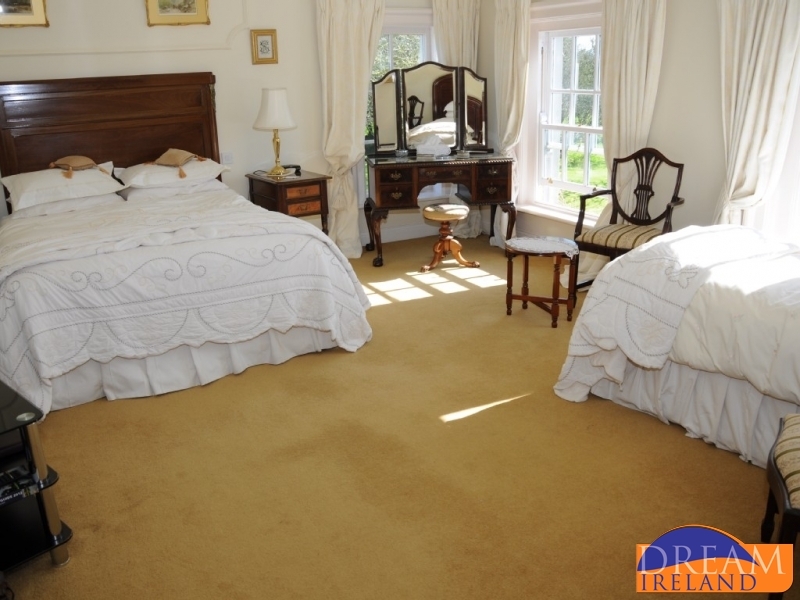 The duvet is goose down, offering unashamed bedroom luxury and warmth without the weight. For the ultimate relaxation – the en-suite bathroom is sumptuously decorated, with a power shower, hair dryer, and toiletries from the Gilchrist and Soames Spa Therapy range. All rooms provide beautiful Cotton Robes for each guest. 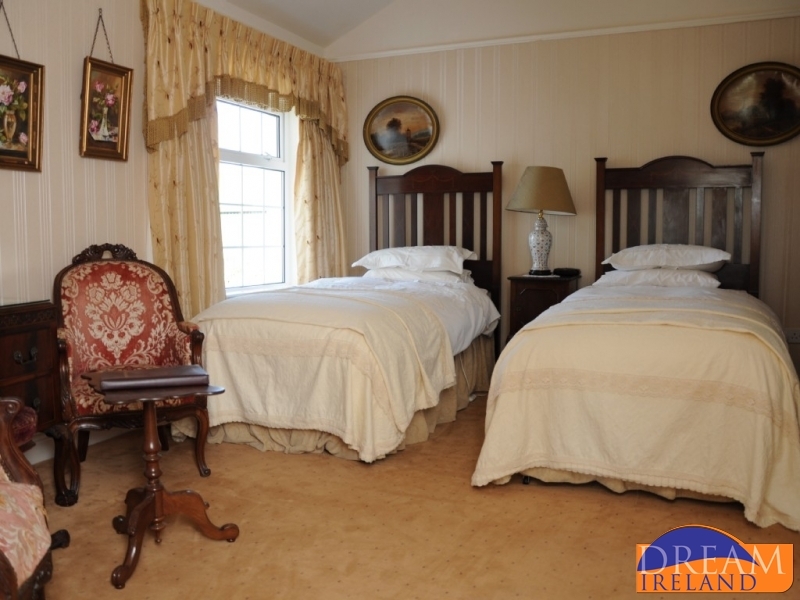 The Foxview Room’s décor, as throughout the rest of the houses’s accommodations, has been designed with the greatest personal attention to luxury and detail. The southern view ensures maximum sunlight throughout the day with lovely views of the mountains and green landscape of The Golden Vale. 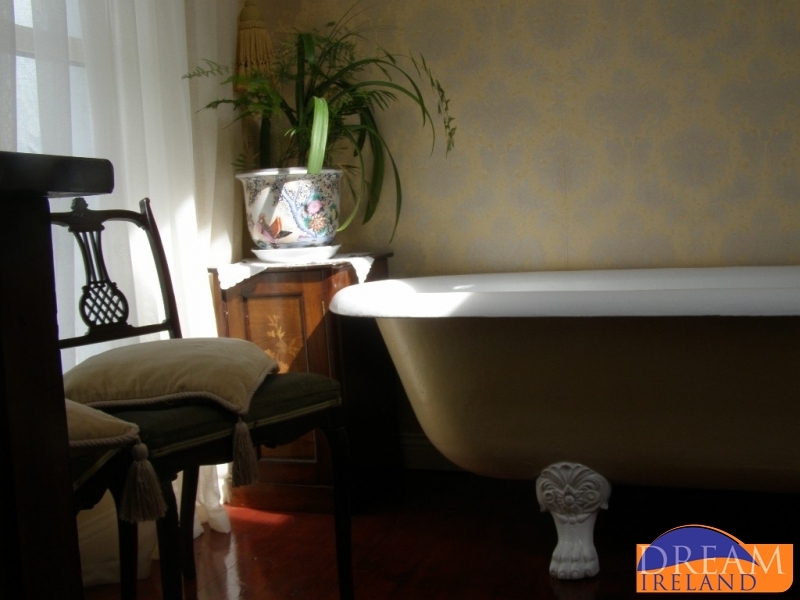 This room offers a wonderful warmth and a real sense of relaxation. 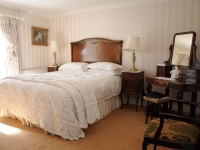 The antique king size bed with an ultra comfortable mattress ensures a blissful night’s sleep. The bed linen is 100% Egyptian Cotton with a high thread count. The duvet is goose down, offering warmth and cosiness. The en-suite bathroom has a power shower, hair dryer, and toiletries from the Gilchrist and Soames Spa Therapy range. All rooms provide beautiful Cotton Robes for each guest. The Oak Room has it’s own en-suite bathroom with a power shower, hair dryer, and toiletries from the Gilchrist and Soames Spa Therapy range. 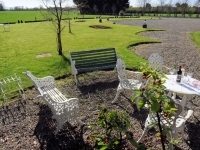 The Meadow Room also enjoying rural views comes with twin beds which can be changed into a luxury sized 6ft bed. Beautiful furniture compliment this spacious room. 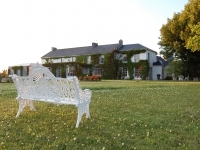 Flemingstown House is available in weekly increments from Saturday to Saturday, however if a period of time is required outside those dates please do not hesitate to contact us by ‘phone or Email, and we will try our very best to accommodate you. Included: Local telephone calls (063 area) and internet usage. Wi-Fi is available at the house and a PC is provided for your convenience. Telephone calls outside the local 063 area are charged at the standard rate. Departure: Guests are requested to leave before 12:00 hours on the day of departure. It is very much appreciated that these times be adhered to in order that the house is cleaned thoroughly. Security deposit: EUR 1,000 This is payable by cash or credit card on arrival and will be returned seven days after your departure, once we have been satisfied that no damage or breakage has occurred to warrant recompense. Smoking is not permitted in any of the rooms in the house. 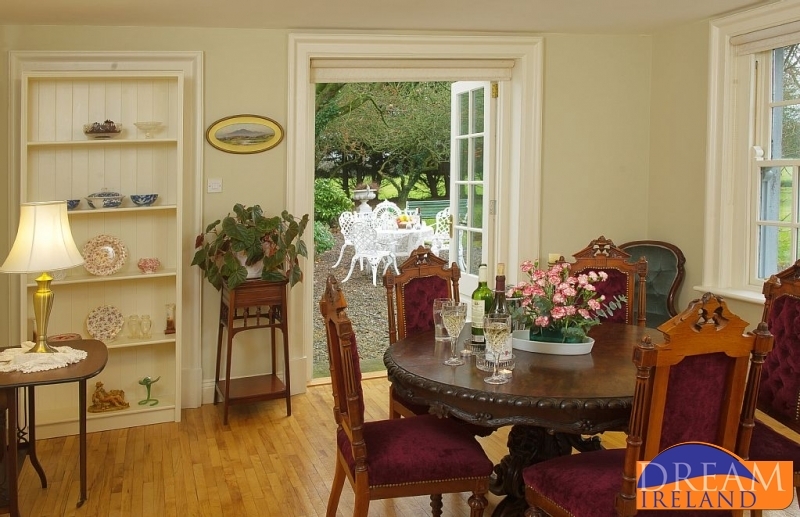 Flemingstown House is situated at the base of the Ballyhoura Mountains, an area renowned for its natural beauty and tranquillity, yet close to the medieval town of Kilmallock. 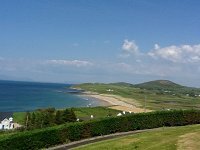 Due to it’s close proximity to three counties, it is an ideal place to tour the relatively sunny and and warm South of Ireland where nature is the main attraction. 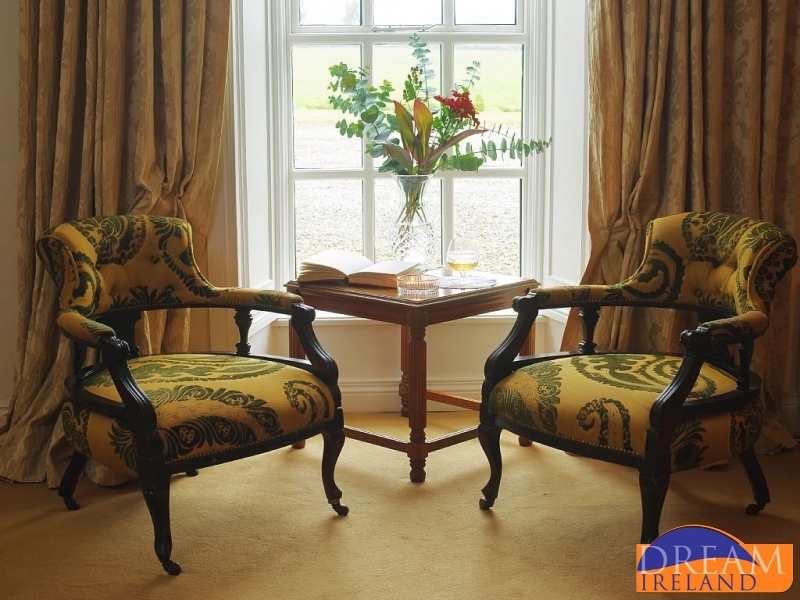 There are many beautiful places to go where one can enjoy some of Ireland’s greatest attractions and still have the luxury of returning to the warm welcome of Flemingstown House.